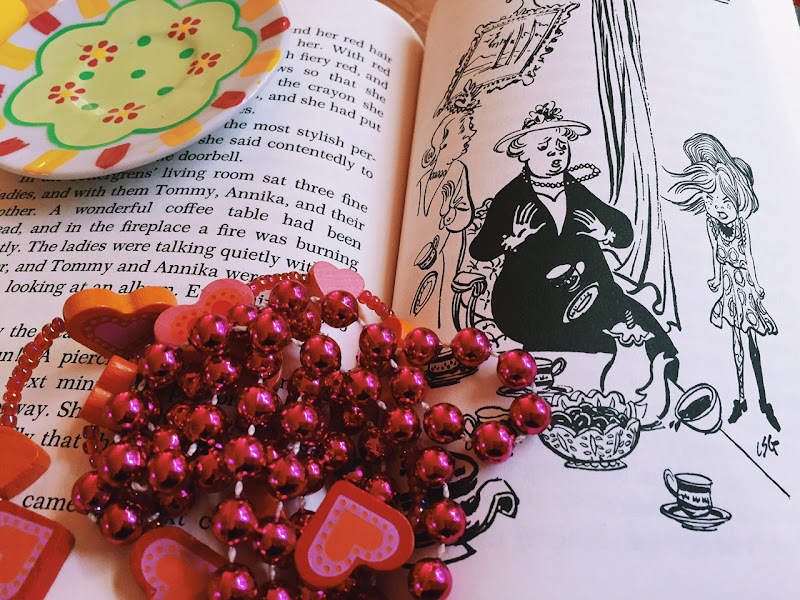 Every so often, I write about my love for Pippi Longstocking - you can see evidence of that love in this post, wherein the kiddo dressed as Pippi. I'm Pippi's biggest fan! 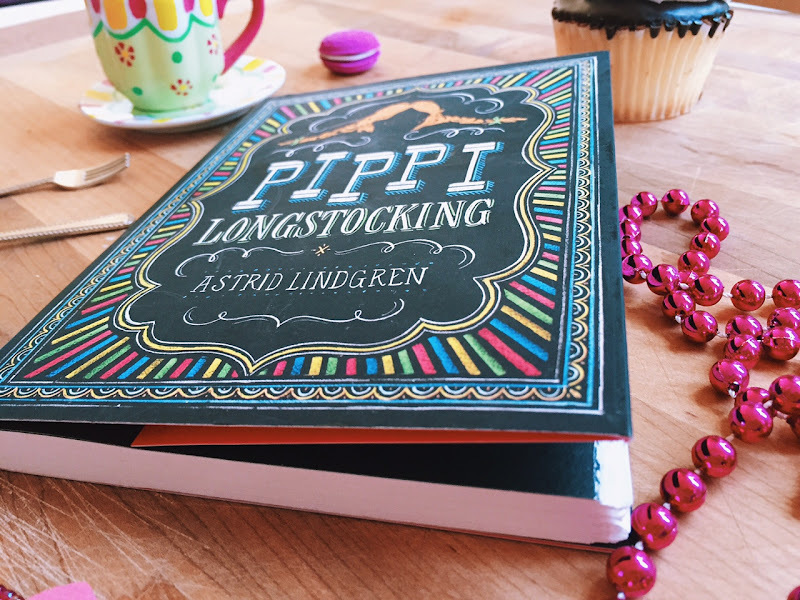 And I own all the Pippi books already, but I knew that there was a new Puffin Chalk edition that had come down the pike a couple of years ago (along with a 'Peter Pan' and 'The Wizard of Oz'). I saw it in a store and I just had to have it. 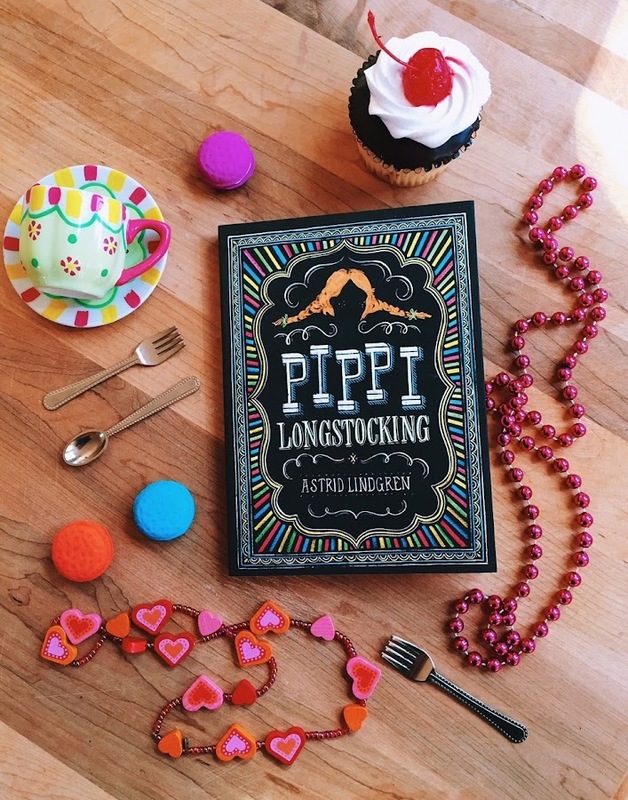 Come home with me, little Pippi book. 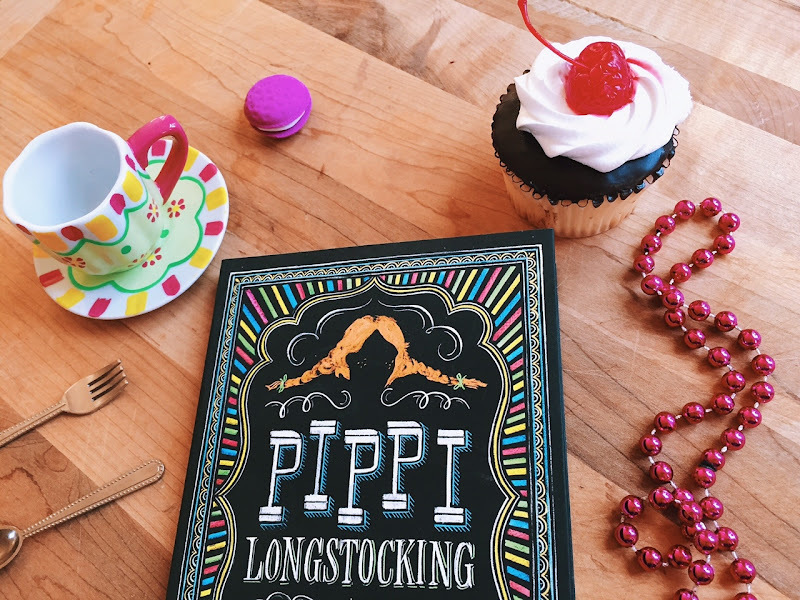 There's always room for more Pippi! 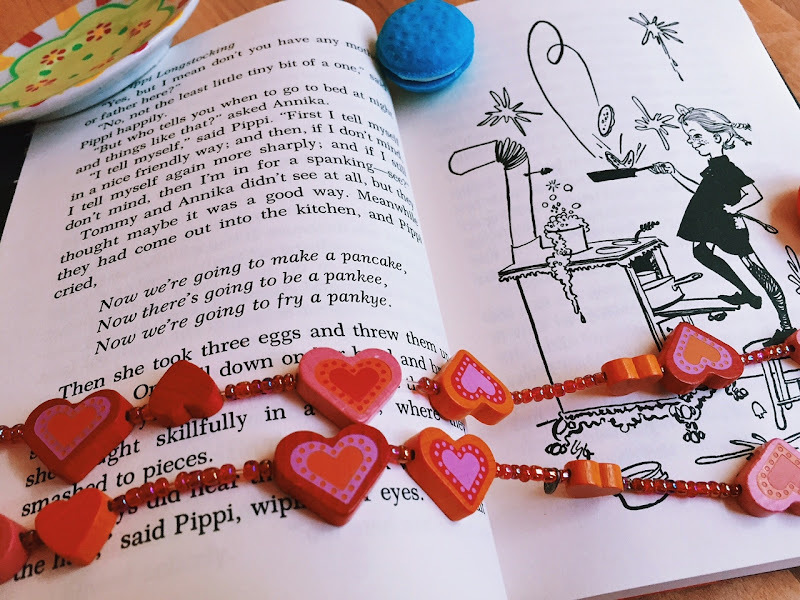 I love it when Pippi makes her pancakes! The illustrations are exactly the same as in the originals. The pages in this new edition are nicely and old parchment like ruffled at the edges. Otherwise, aside from the VERY COOL cover, there's nothing new to see, it's the same amazing story. 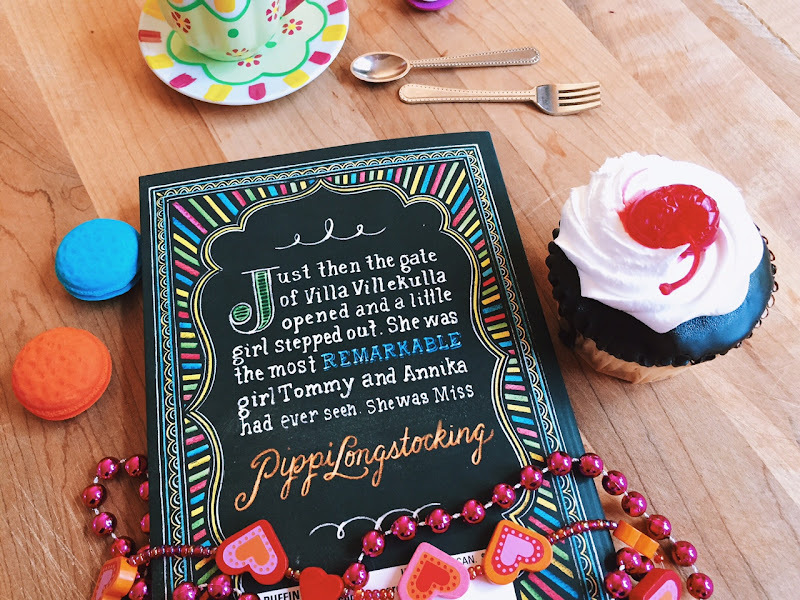 I don't know if the 'Peter Pan' book is shortened from the original or not, but this is the whole Pippi story here. 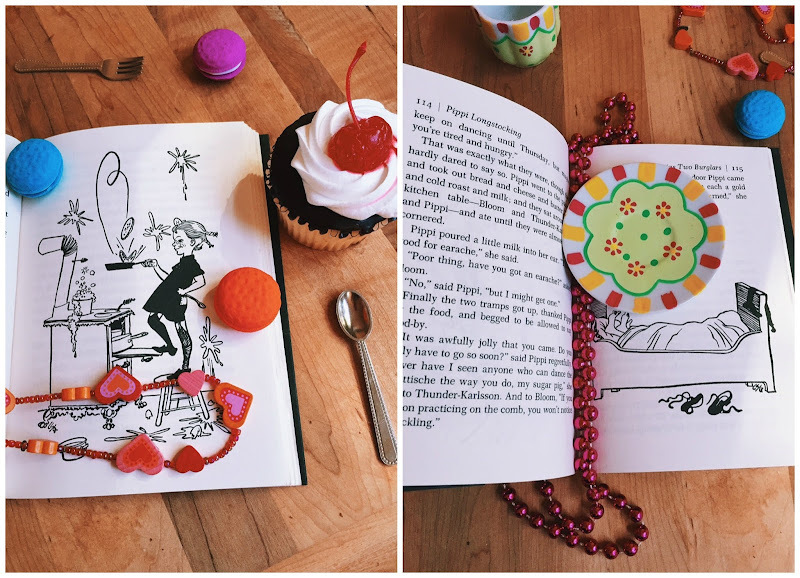 Robbers, pirates, pancake making, feats of Pippi derring-do, and all. THAT COVER THOUGH. These Puffin Chalk covers are just the coolest! If they make some kid (who might have previously passed over these classics) buy the book based on the vibrant and awesome covers, then so much the better. I already own the Pippi series, and the cover of this one made me buy it again. Honestly, there's no shame in buying multiple copies of the same book, my friends. I fully intend to add the Lauren Child version to my bookshelf at some point as well. Oh there's also a version of 'Alice in Wonderland' and 'Black Beauty'. AND 'A Christmas Carol'! 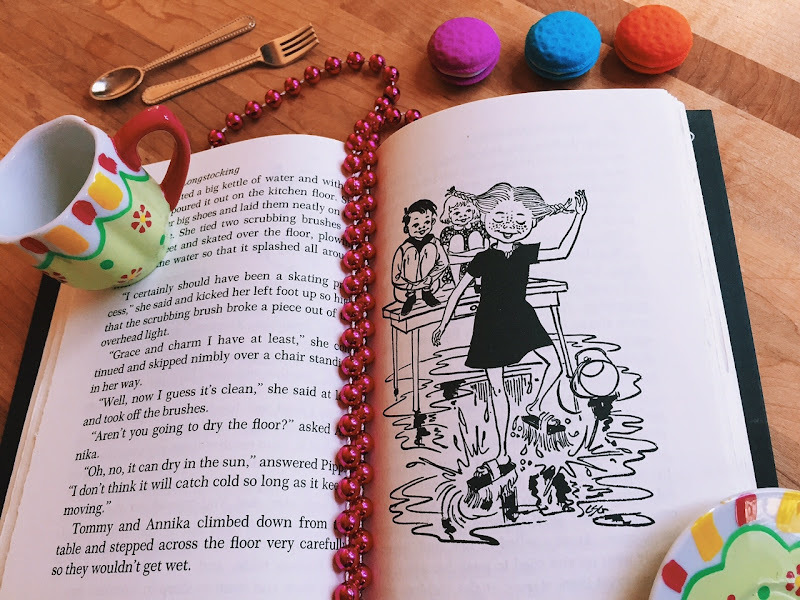 Pippi is a character so over the top and fun! She should have a modern TV series just for her all over again (although the older series was awesome)! I have admired those Puffin books but I still didn't buy one because ... eeep... I would need more space on my already crowded bookshelf! I've been admiring these! I love all the special Penguin and Puffin sets. It would be cool to have a full set of each for every room of the house. That would probably be overkill, right? Pippi rules. We bought a cheap paperback of one of the later books at an art and book fair this weekend, in fact! i was too lazy for more links, but omigolly how i long for the hardcover Puffin editions!! They are SO gorgeous! So so so so pretty! Wow! That cover is gorgeous. 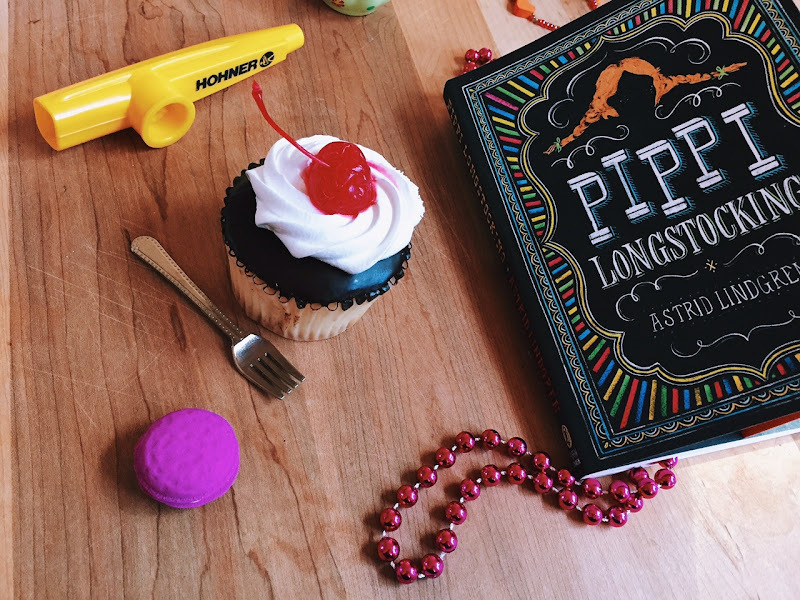 My seven-year-old just found Pippi, but not the first one, so I'm thinking I'll look for this one for her birthday. Thanks for sharing. oh yay!!! perfect age for Pippi!!!! Oh - I do have this one and love it. COOL Claire Annette!!! it's so fun. WANT! Great pics by the way! Thank you sweet friend! We're always our own harshest critics aren't we??? How cute. We listened to Pippi as an audio book and loved it.